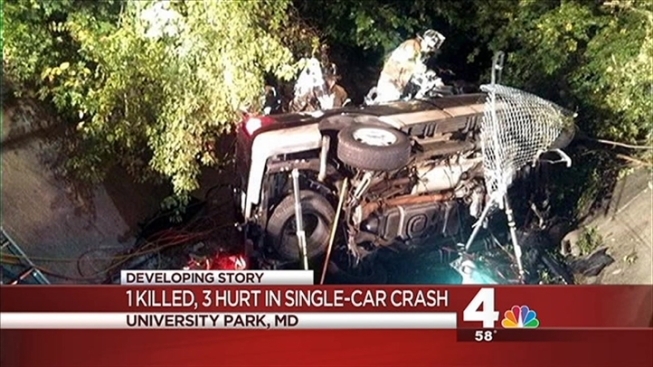 One person was killed and three others were injured when their SUV went over a bridge and crashed into a creek in University Park Sunday night. Police were called to the scene on Route 1 and Wells Parkway around 7:50 p.m. Investigators say the Ford Expedition was traveling north on Route1 when the vehicle went over the bridge and fell into the creek below. All four occupants -- including one infant -- were transported to the hospital in critical condition. One of the adults died at the hospital.